Parliament calls on F-FDTL to respond to rumors about Ninja Timor Post 19 January 2010 The Timorese Parliament has called for the Government to deploy the Timorese National Police (PNTL) officers and the Timorese Defense Force (F-FDTL) soldiers to manhunt unidentified groups that have threatened people and impeded their economic and agricultural activities in Bobonaro and Kovalima districts. 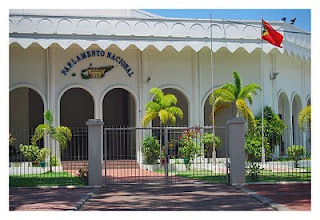 Parliament to meet with PM Gusmao Timor Post 19 January 2010 The Parliament has planned to meet with Prime Minister Xanana Gusmao talking on political consensus about appointing commissary for the approved anti-corruption commission (KAK). Government reforms Procurement Department Timor Post 19 January 2010 Prime Minister Xanana Gusmao said everyone should help support the Government he led by improving the image of Timor-Leste as one of the most corrupt countries in the world. Court tries a serious crime case committed in 1999 Timor Post 19 January 2010 The Dili District Court has tried a serious crime case committed in 1999 occurred in Kovalima district. The accused in this case is Domingos Norohna alias Maubuti and is a member of pro-Indonesia militia man. PNTL commander has contacted Vikeke police commander: Monteiro Timor Post 19 January 2010 The Timorese Police Commander, Longinhos Monteiro said he had contacted Vikeke District Police Commander in relation to the police officers’ act of beating up residents in Uatulari sub district. PM Gusmao: Politician should not mention autonomist in Timor-Leste Diario Nacional 19 January 2010 Prime Minister Xanana Gusmão has called for all the politicians not to mention autonomist [people who wanted to join Indonesia] in Timor-Leste. Alkatiri: Article No. 85 and 106 should be amended Diario Nacional 19 January 2010 Fretilin Secretary General Mari Alkatiri said it was important to amend the Timorese Constitution, mainly the article No. 85 which was about the competence of the president and the article 106 about the appointment. Community policing officers plant rice with farmers in Manufahi Radio Televisaun Timor Leste 19 January 2010 Community Policing officers in the southern district of Manufahi have worked together with the farmers in implementing a pilot project of planting rice. Proudly sponsored by Wright Law & Justice. Simple theme. Powered by Blogger.